The Handbooks for Old Testament Exegesis from Kregel Academic is a six-volume series (with two volumes yet to be released) designed primarily to help seminary students and pastors exegete and preach from the Old Testament. Each volume covers one of the major genres found in the OT (narrative, law, poetry, wisdom, prophecy, and apocalyptic) and follows a similar six-chapter structure from introducing the genre all the way to putting together a sermon. In the latest addition to the series, Gary V. Smith offers a primer on interpreting the prophetic books of the OT. The first chapter provides an orientation to the genre of prophetic literature by providing an overview of the three temporal categories of prophecy (narrative, eschatological, and apocalyptic) and the genres according to which prophecies in these three categories were organized (judgment speech, covenant lawsuit, trial speech, disputation, oracle against foreign nations, woe oracle, summons to repent, salvation oracle, proclamation of salvation, sign acts, hymns, and visions). Because most prophecies are written in the form of poetry, Smith also spends some time on two key characteristics of Hebrew poetry: parallelism and imagery. Chapter 2 briefly highlights the main themes of each prophetic book and notes the common themes across the entire genre (e.g. God’s wisdom and sovereignty, His covenant relationship with Israel, oracles of judgment and promises of salvation, the coming Messianic King, and the eschatological day of the Lord). In chapter 3, Smith introduces the basic skills and tools necessary to prepare for faithful interpretation of the prophetic books. He provides an overview of the historical setting, introduces the false prophecies of the ancient Near East, and briefly addresses how to use textual criticism and biblical commentaries. With the preliminary groundwork in place, the next chapter provides an overview of the interpretive process, focusing on six key interpretive issues in prophetic texts that deal with the future: whether a text is literal or metaphorical, whether it’s limited by its context, whether it’s conditional or unconditional, whether it’s about the near or far future, difficulties between a prophecy and its fulfillment in the NT, and the difficulty of some prophecies not being fulfilled. Next, chapter 5 addresses sermon preparation, discussing “how we can systematically move from an inspired prophetic message to an inspirational sermon that will change the lives of people today” (143-144). Finally, chapter 6 provides two examples to demonstrate how the process taught in this book work practically. Here Smith takes first Isaiah 31:1-9 and then Jeremiah 23:1-8, working step by step through the process outlined in the previous chapter. Interpreting the Prophetic Books is a helpful primer on studying and preaching/teaching the prophetic books. For those unfamiliar with this portion of the canon and/or the process from study to sermon, this book provides a helpful guide to the main features of the genre of prophecy, key tools for interpretation, and a step-by-step guide to crafting a sermon. It’s an excellent guide for the beginning Bible student/teacher/preacher as well as the layperson serious about studying the Bible. Those more advanced will likely not pick up any new insight and will at many points long for more detail and depth. But the book cannot be faulted for brevity since the aim of the series is to provide short introductory handbooks. Nevertheless, the brevity is especially stark in this volume since it covers such a huge portion of the OT (17 books!) in around 200 pages, whereas the other volumes in the series cover much fewer books. Herbert W. Bateman IV. Interpreting the General Letters: An Exegetical Handbook (Handbooks for New Testament Exegesis). Grand Rapids, MI: Kregel Academic, 2013. 320 pp. $29.99. The third of a four-volume series (Handbooks for New Testament Exegesis), Interpreting the General Letters is designed to shape the way we think about, study, and teach the General Epistles (Hebrews, James, the Petrine letters, the Johannine letters, and Jude). This book provides valuable background information as well as a step-by-step process for interpreting and communicating the General Letters; though the focus is specifically on the General Epistles, some of the information and skills are easily transferable to the Pauline epistles and even to the other genres of the New Testament. Chapters 1 and 2 lay the foundation for interpreting the General Letters by providing information on the genre and background, respectively. Chapter 1 illuminates the component parts of a letter in the Greco-Roman world, the types of epistolary correspondence in the Greco-Roman world, and how determining the type of a General Epistle may benefit our studying, interpreting, and teaching them. Chapter 1 ends with a look at the use of amenuenses and the issue of pseudonymity in the Greco-Roman world and in the General Letters. Chapter 2 provides important background information into the Greco-Roman world and the Judean-Roman relationship, concluding with a look at the implications of this background information on interpreting the General Letters. Because implications differ from epistle to epistle, Bateman illustrates by way of three examples: wisdom in James, household codes in 1 Peter, and rebellion in Jude. Chapter 3 continues laying the foundation with an overview of the biblical theology of the General Letters and its specific canonical contributions. 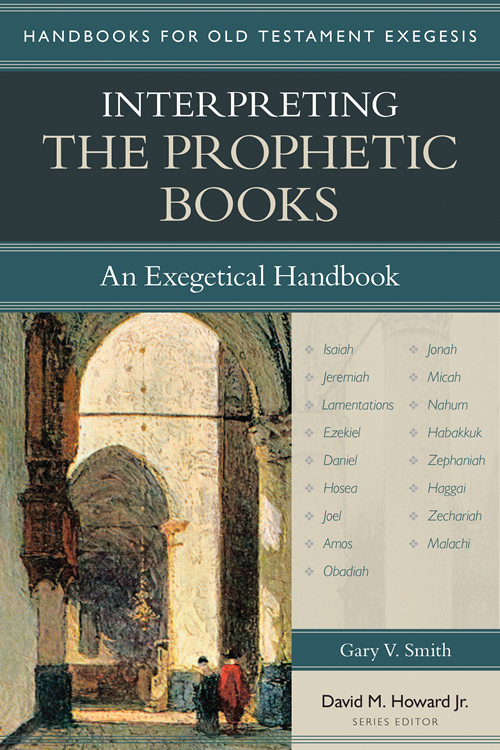 The chapter first looks at the era of promise in the Hebrew Scriptures and the era of fulfillment in the General Letters, providing an overview of biblical covenants from a dispensational perspective. Then Bateman provides a summary of the predominant theological theme of each of the General Letters, recognizing that every dominant theme is undergirded by several other theological themes. Chapters 4-6 provide a step-by-step approach for interpreting the General Letters. Below are the nine steps. For each step, Bateman uses specific examples from the General Letters to illustrate the process. The last chapter provides an exposition of Jude 5-7 and Hebrews 10:19-25, pulling together the previous six chapters to provide examples of the teachings of the book in action. The book ends with a very helpful bibliography that groups sources by category (e.g. sources for comprehending first-century letter-writing, sources for building a biblical theology, sources for interpreting Greek words, etc. ), a guide for choosing commentaries in general, and suggested commentaries for each of the General Epistles. Interpreting the General Letters is an excellent introductory guide to interpreting and communicating the General Letters. A basic knowledge of Greek (probably one-year level) is necessary in order to get the most out of this book. For any pastor, Bible teacher, and serious student of the Word with a working knowledge of Greek, this would be a valuable book for guidance in interpreting and communicating the General Letters. I imagine it would also be a suitable supplementary text for seminary courses on the General Letters. *Thanks to Kregel Academic for providing a free copy in exchange for an unbiased review!